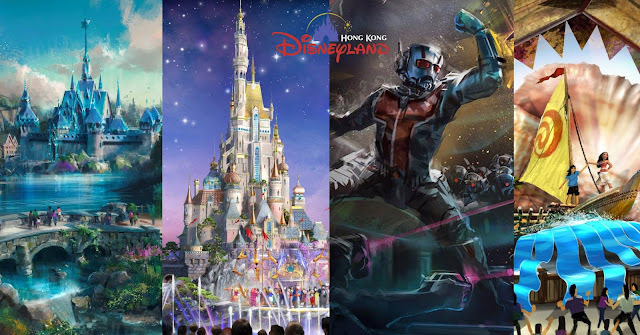 Step into popular Disney stories at Hong Kong Disneyland Resort (HKDL) in 2019 with more magic than ever, thanks to all-new immersive attractions and exclusive Disney experiences across the resort. Join Marvel Super Heroes, Ant-Man and The Wasp, in a heroic battle; be transformed with a magical Disney Princess makeover in the castle area, and join festive celebrations with Disney icons such as Mickey Mouse, Three Little Pigs and characters from “Toy Story” and “Tim Burton’s The Nightmare Before Christmas.” Make it a complete Disney experience and discover the magic of a Disney “staycation” at the resort hotels with premium dining options and HKDL-exclusive merchandise items! Grab a Magic Access Membership to enjoy year-round magical experiences and a series of exclusive tailor-made programs around the resort! Join now to enjoy up to 20% off with the “Magic Access” Buy More Save More Offer for Hong Kong residents only. 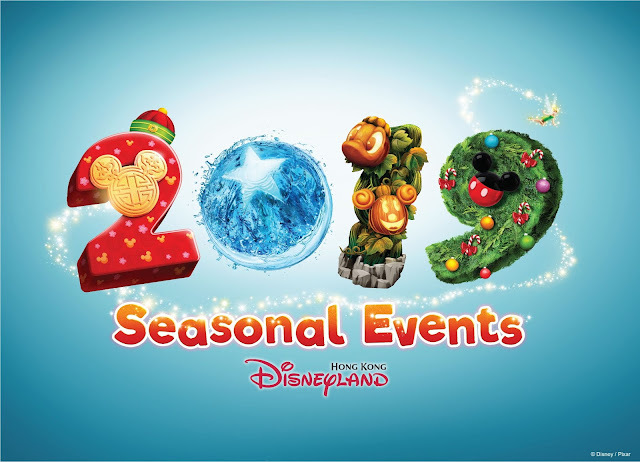 Popular Disney characters sporting new elements will appear in a series of seasonal events, held year-round in 2019. 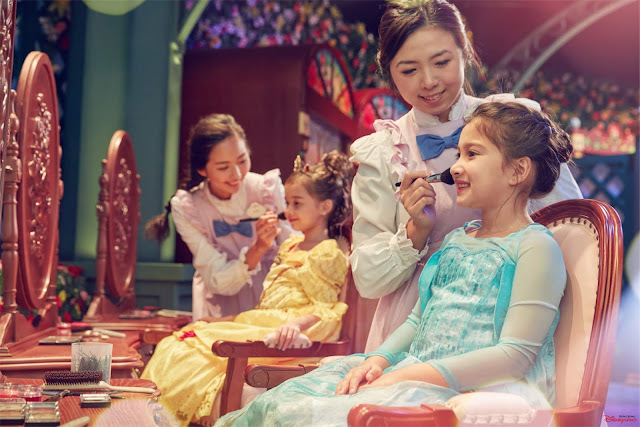 HKDL invites guests to immerse themselves in the world of Disney stories and enjoy diversified character-themed seasonal experiences. During the Year of Pig, the three little pigs from the classic story will give you a New Year's greeting from January to February. 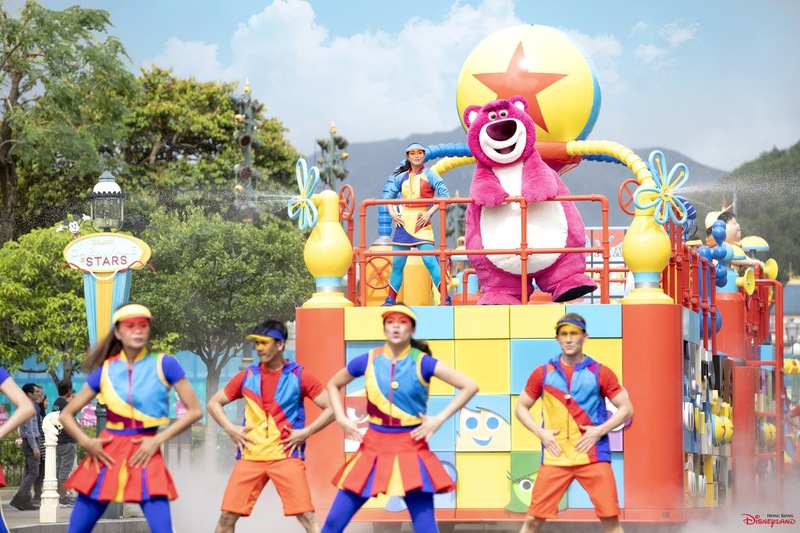 With the highly anticipated release of “Toy Story 4,” beloved characters from the film will appear in the “Carnivale of Stars” from March to August. There will also be an enhanced “Pixar Water Play Street Party”! Experience wicked fun during “Disney Halloween Time” from September to October with the “Pumpkin King” Jack Skellington and Disney Villains as they turn the park upside down. 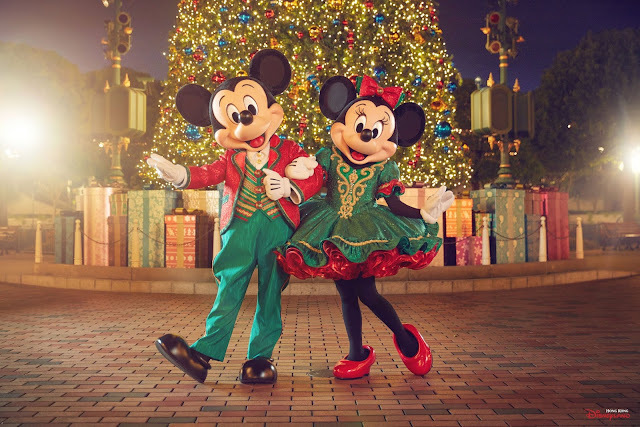 Then, enjoy an authentic wintertime atmosphere with Disney friends in their holiday outfits during “A Disney Christmas” from November to December. 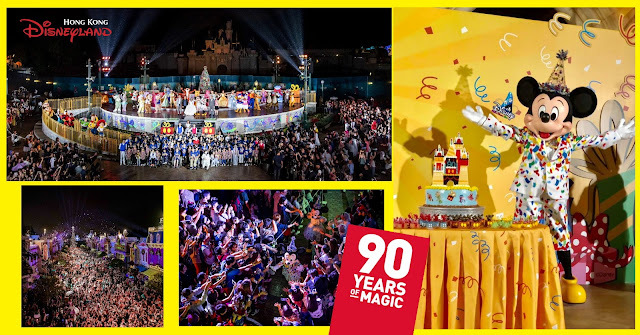 Starting from November 7, 2018, HKDL will be celebrating the 90th anniversary of Mickey Mouse. 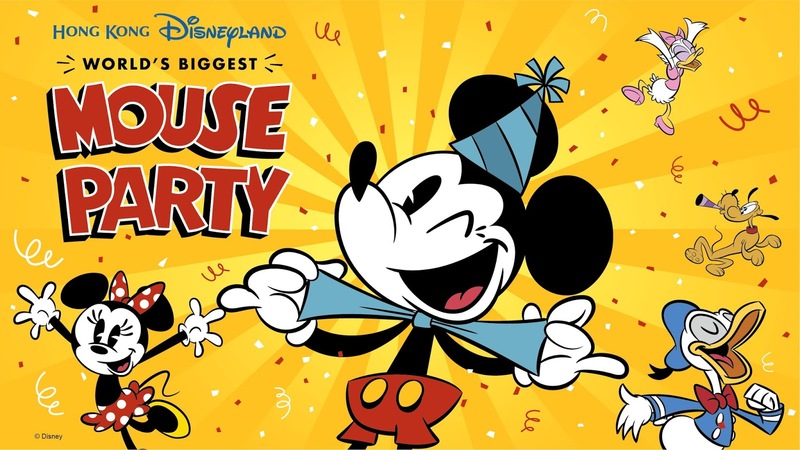 Every single guest is invited to join the “World’s Biggest Mouse Party”! 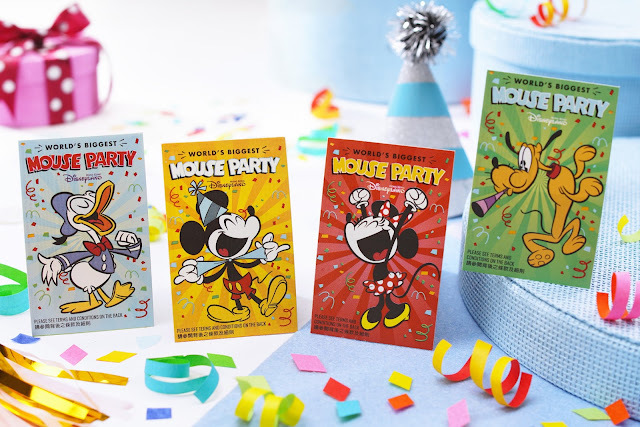 The celebration of everybody’s favorite mouse will ramp up with new elements highlighting Mickey’s legacy, including Mickey and friends-themed park tickets. 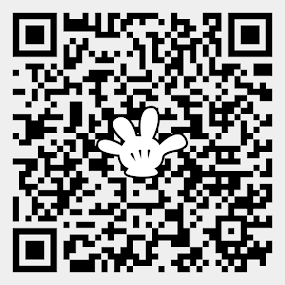 Guests visiting from Mickey’s birthday on November 18 onwards, will even receive special birthday stickers, and can enjoy the “We Love Mickey” Projection Show Birthday Edition on Main Street, U.S.A. that culminates with everyone singing “Happy Birthday” to Mickey, while Mickey and Minnie will make a dramatic appearance in their new 90th anniversary costumes. 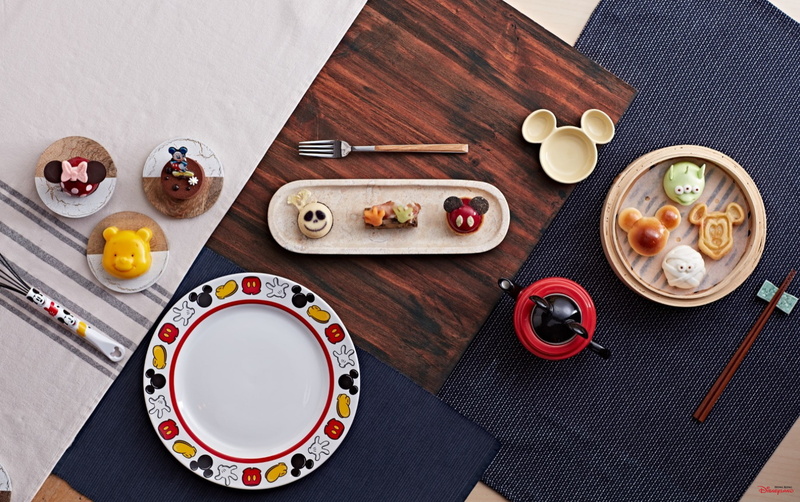 To extend Mickey’s birthday celebration, guests can purchase themed merchandise items and delicacies. 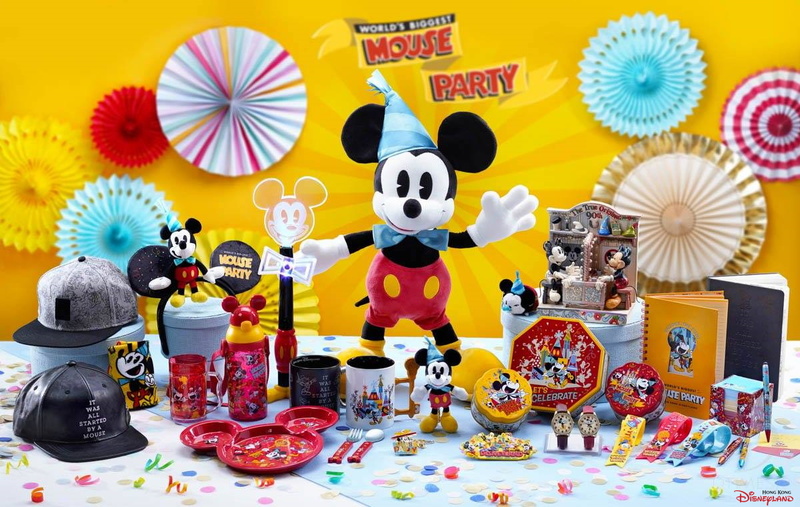 Hotel guests can choose a celebration-themed room decoration package for just HK$1,099, with specially-designed bed runner, amenities tin box, door sticker, greeting card, slippers, balloons, as well as a pair of Mickey and Minnie plush. 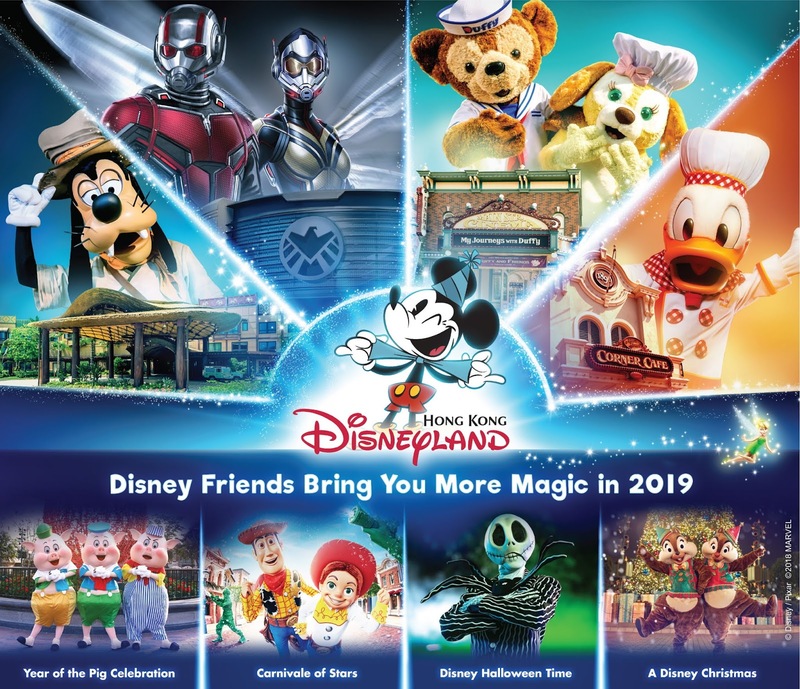 Join the “World’s Biggest Mouse Party” at HKDL from November 2018 to February 2019! Guests can celebrate the Year of the Pig with the beloved Three Little Pigs, who will give you a New Year’s greeting. Guests can enjoy this special season with their families by sharing luck and fortune through a series of themed festive delights. 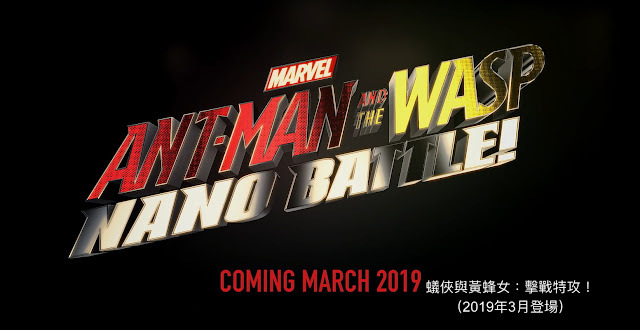 “Ant-Man and The Wasp: Nano Battle!” is an all-new interactive experience coming to Hong Kong in March 2019. 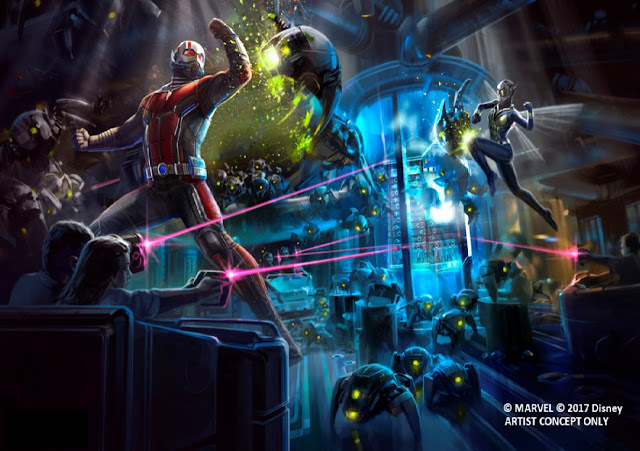 In this high-energy interactive battle, guests will fight alongside Ant-Man and The Wasp from the popular blockbuster film! Guests will enter the world of Marvel in Tomorrowland at the S.H.I.E.L.D. Science and Technology Pavilion at the Stark Expo. 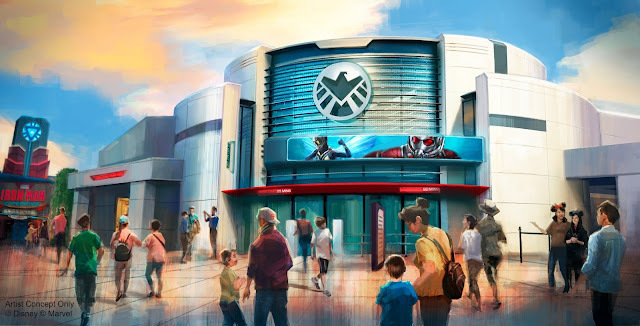 After boarding a state-of-the-art vehicle at S.H.I.E.L.D.’s research & design facility, guests join Ant-Man and The Wasp in an epic battle against Arnim Zola and his army of evil Hydra Swarm-bots. What’s more, stars Paul Rudd and Evangeline Lilly will be reprising their roles as Ant-Man and The Wasp, fighting alongside guests in this epic battle throughout the entire immersive experience. During the spring and summer season, from March to August 2019, “Carnivale of the Stars” will feature a rich line-up of exciting offerings, reconnecting guests with many favorite characters. There will be festive decorations at the park in spring, while the popular “Disney Character Egg Hunt” will return as well, with fun searching for the enlarged eggs decorated after many of your beloved Disney friends! Don’t miss out on the enhanced “Pixar Water Play Street Party” in summer with even more ways to splash into the fun! 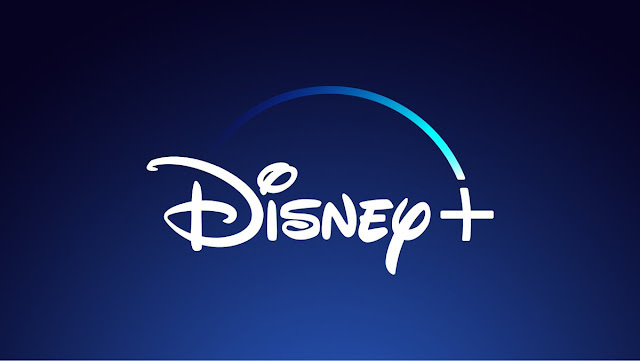 Guests will also be the first to encounter the stars from the upcoming film “Toy Story 4,” making this a truly one-of-a-kind experience. 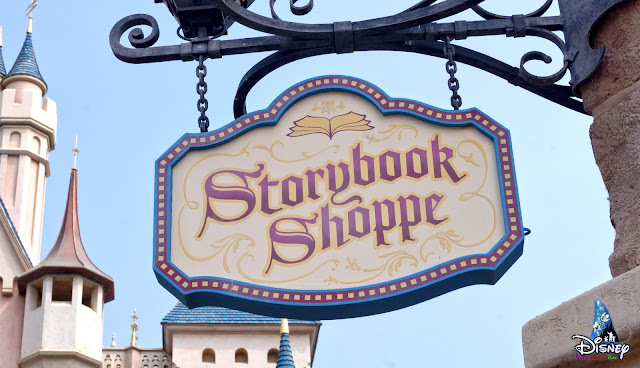 Opening in the summer of 2019, our little guests can make their dreams come true and transform into a princess at the brand new Bibbidi Bobbidi Boutique in the HKDL’s castle area. The boutique will offer a luxurious option for young guests dreaming of a royal princess makeover with gorgeous dresses and accessories. Makeover options from the park’s Fairy Godmothers-in-training include Disney Princess favorites, such as Cinderella, Snow White, Aurora, Belle, Elsa and Jasmine. In addition, this new location offers an even more royal experience, thanks to the interactive Magic Mirror, which tells the stories of everyone’s favorite princesses in a highly-immersive royal setting. Make sure to explore the exclusive dress-up packages for different photo opportunities. At Disney Explorers Lodge, families are sure to love the brand-new children’s playroom named “Nemo’s Recreation Reef”, inspired by the popular film “Finding Nemo” in the summer of 2019. The spooky fun of the Halloween season is not to be missed in 2019. 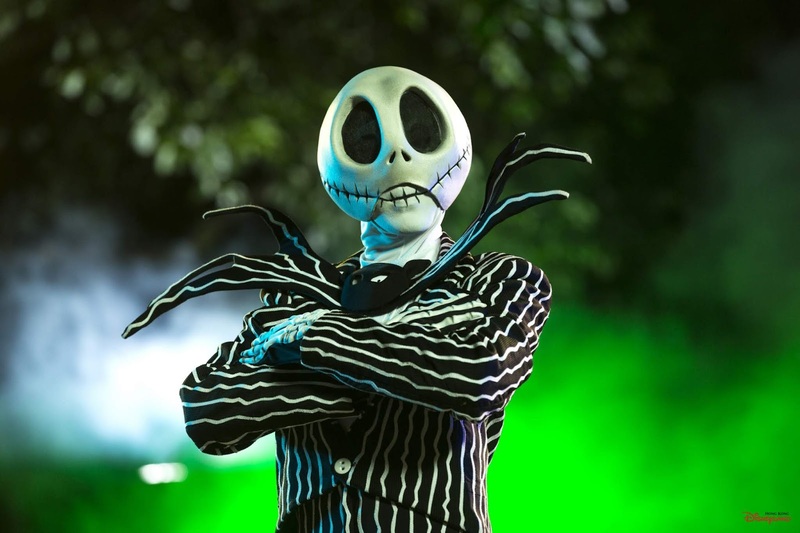 Jack Skellington and his friends will be taking over the park once again, while all kinds of creepy characters will be spreading mayhem and mischief to delight guests. Halloween will creep across the park from September to October 2019. During the Christmas period, Mickey and Minnie will take center stage in a dazzling festival. HKDL is truly an ideal choice for guests who yearn for a white Christmas with magical snowfall, happening every night on Main Street, U.S.A. In 2019, guests are sure to find amazing gifts to take home from an impressive range of new items available in the park and hotels. 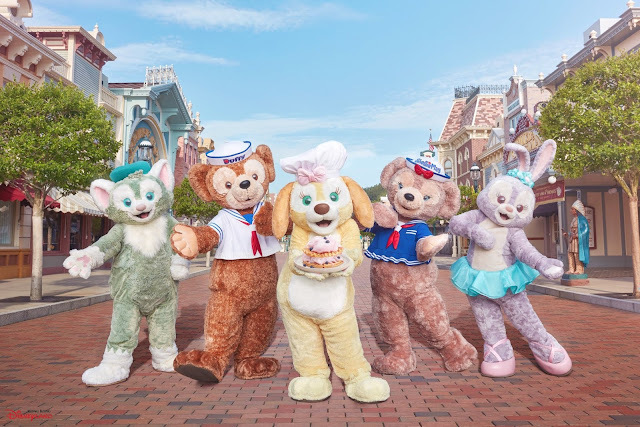 This includes more than 300 new merchandise items for Duffy and Friends with refreshing looks for Chinese New Year, Spring, Halloween and Christmas, continuing the excitement for Duffy and Friends after the global debut of the food-loving Cookie. 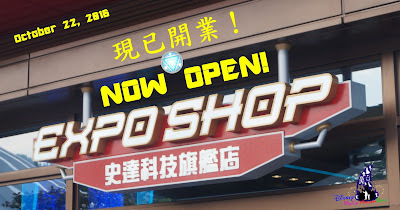 The new merchandise items in 2019 will include something for everyone! 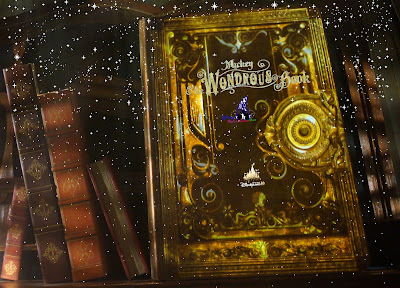 Guests can enjoy a complete Disney adventure with a stay at one of the resort’s magical hotels, further enhanced by special hotel room decorations, exclusive character greetings, recreational activities and world-class hotel dining experiences. Disney hotels are always one of the best celebration locations for special occasions. 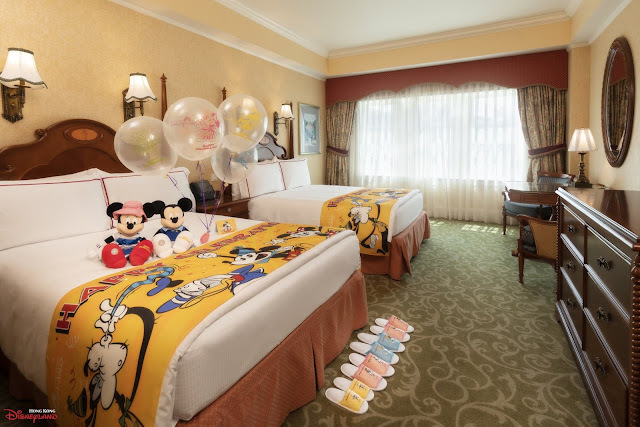 Guests can transform their experience into an extraordinary celebration with special complimentary in-room decorations including a towel folded birthday cake, enjoy Disney-themed birthday cakes and gifts, and celebrate their special day with families, friends and beloved Disney characters. At Disney Explorers Lodge, families are sure to love the brand-new children’s playroom named “Nemo’s Recreation Reef”, inspired by the popular film “Finding Nemo” in the summer of 2019. Young guests can have fun in the world of Nemo and unleash their creativity at arts and crafts sessions. 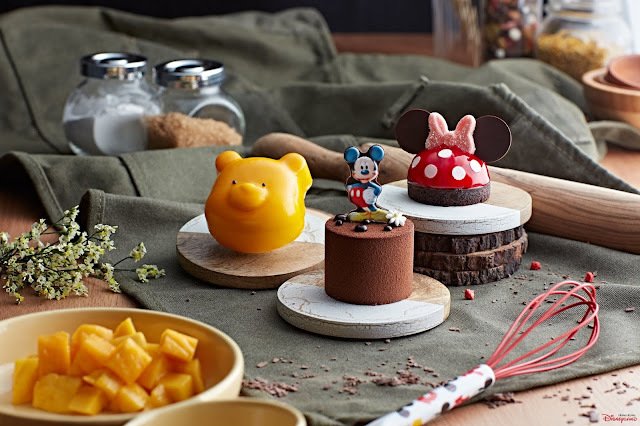 With all these new experiences coming to HKDL in 2019, the resort is thrilled to be introducing over 500 new themed food and beverage items throughout the year. 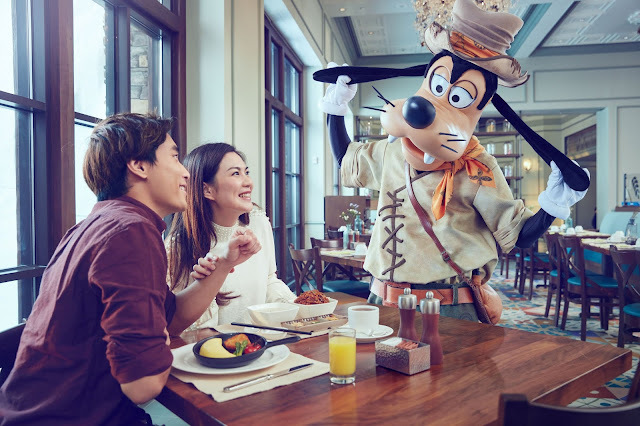 From Chinese and Western cuisine to desserts, guests can enjoy award-winning dining experiences with a dash of Disney magic everywhere in HKDL. Savor outstanding Chinese cuisine at Crystal Lotus, and make sure to try and take home some special gifting options exclusively at HKDL, including the popular XO Chili Sauce, Spicy Anchovy Sauce and the new Ancient Lychee Sauce, which will be launched in early 2019. 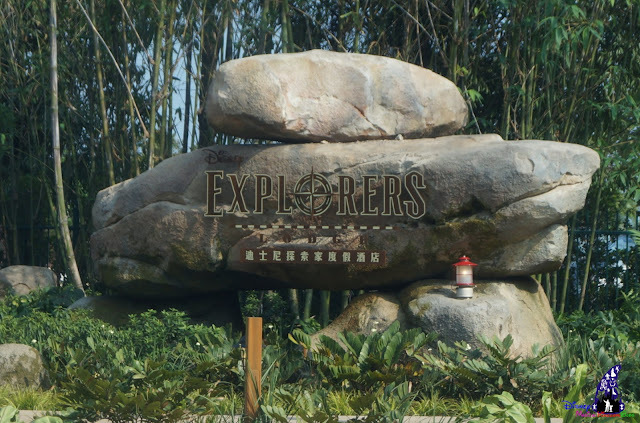 An all-new Chinese culinary menu featuring western cooking style and Disney touches will also be launched in early 2019. The semi-buffet brunch menu at World of Color Restaurant is perfect for a weekend getaway, and Garden and Grill at Walt’s Cafe serves up various cuts of premium steak for a fine dining experience. Complete the meal with Disney-themed dessert delights, or sample one of Disney’s exclusive party cakes to share with friends and loved ones. More exquisite dining offers will be available in the hotels and the park throughout the year to meet every taste and style. 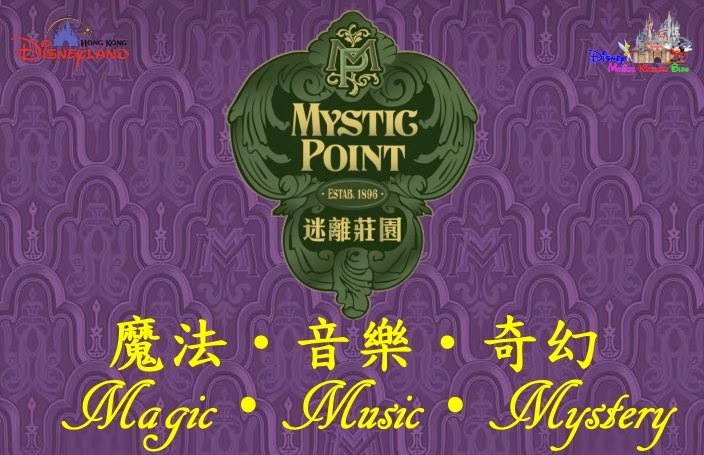 From now to January 15, 2019, Hong Kong residents can enjoy a special offer for Magic Access Membership with up to 20% off with the purchase of 4 passes or more. The more passes you buy, the more you’ll save! 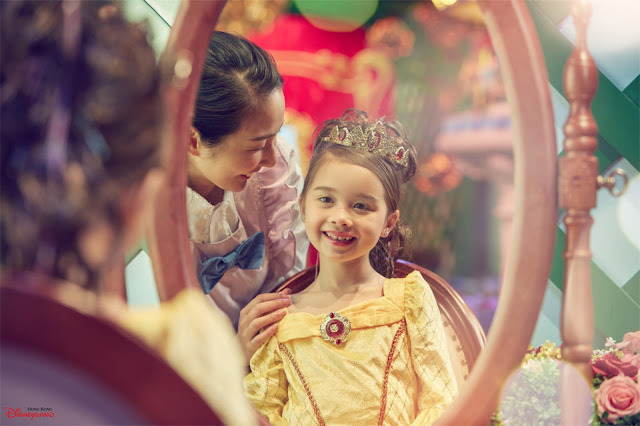 To fully immerse in the Disney magic with year-round amazing events, Magic Access Members can enjoy the most in the “Play, Shop, Dine & Stay” experience with multiple entries and exclusive benefits and discount offers. 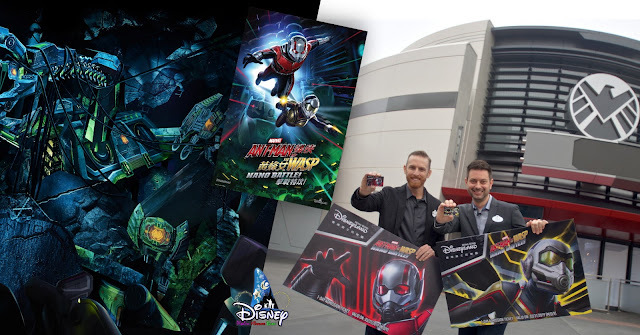 In 2019, a series of tailor-made programs* have been planned for Magic Access Members, including a brand-new Disney Music Show, a Members Summer Party, and redemption activities for collectible Disney Egg Pins and Disney●Pixar commemorative souvenirs! * Participation of Member-exclusive programs is subject to Membership tier, program quota and/or program’s Terms and Conditions. Member-exclusive programs are for reference only and subject to change or cancelation.